New to the Martingale betting system? Lots of people absolutely love it. For one, it’s super easy to learn. In fact, when you’re done reading this paragraph, you’ll be a Martingale expert. When you lose a wager, you double your bet. And you keep doing so until you finally win. It sounds easy enough, but Martingale shouldn’t be used without understanding the pros and cons. Today, we’re covering the major ones. If you had infinite funds to work with, choosing Martingale would be a no-brainer. After all, if you had $25,000 to spend like it’s no big deal. Starting at $5 and doubling your bet wouldn’t be an issue, even if you hit a losing streak. For example, after your first $5 bet, you’d be down $5. Assuming a loss, you’d wager $10 next. Assuming another loss, you’d drop $20 on the table. And $40. And $80. And $160. And $320. And $640. And $1,280. Now you’ve got $2,555 on the line. But thankfully, that bet paid you out $1,280 for a win, so you’re now up $5. Unfortunately, while that losing streak was super long, it can actually get way longer. You’re not guaranteed to win. So that $1,280 bet could have lost. And it could have been followed by losing a $2,560 bet and a losing $5,120 bet. Pro: It’s an easy to learn and you can apply it to lots of games. The Martingale betting system is one of the easiest to learn. 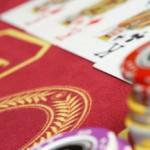 And you can apply it to loads of even money bets playing Roulette, Blackjack, or even Baccarat. Even if you did have a gazillion dollars to work with, there’s something called a table maximum. Online, it could be as low as $200. In the real world, you’re lucky if you can find $500 maximums on the casino floor. And even the high roller’s room has its limit. With the Martingale betting system, there’s a good chance you’ll hit a wall and no longer be able to double your bet when you need to most. Imagine for a second that you’re playing Roulette and you have a $1k bankroll to play with. You’re (smartly) betting $5 per bet, but you’re not employing the Martingale system. 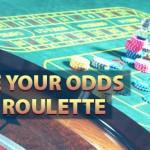 You might win about 46% of your bets, if you’re lucky. But you’ll also lose 54% of the time. But by employing Martingale, your chances of winning during the same session would jump above 82%. 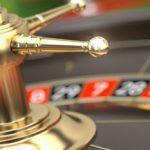 In the above Roulette scenario without Martingale, your average win would be $16 and your average loss would be about $28. With Martingale, your average win jumps to over $66. Not bad, until you consider that your average loss would jump to over $460. In a nutshell? Brutal. Ready to try Martingale? Put your wallet away. For one, it’s safer that way, especially if you don’t have an infinite bankroll to work with. 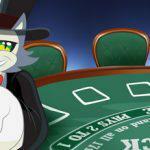 And you won’t need one at CoolCat Casino. 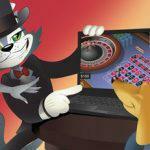 We’ve got free casino games to enjoy, so you can put Martingale through the ringer and see if it pays off. All it takes is an account with us to get started, so sign up and discover the pros and cons for yourself.